Schedule Your Next Field Trip to the Orchard for Lots of Educational Fun! Plan your next group outing at the Orchard and enjoy an exciting, educational, and interactive Orchard Tour. With a variety of tours for all ages, we have the perfect tour for your group. Here at Millstone Creek Orchards, we love educating others about the wonders of Mother Natures and sharing what we love with you . Our tours allow you and your group to learn all about agriculture and the work that we do year-round to produce fresh, tasty fruits and veggies that we all love. All tours must have a minimum of 15 guests and must be pre-scheduled. Scheduling Information: Booking your next tour is fast and easy. 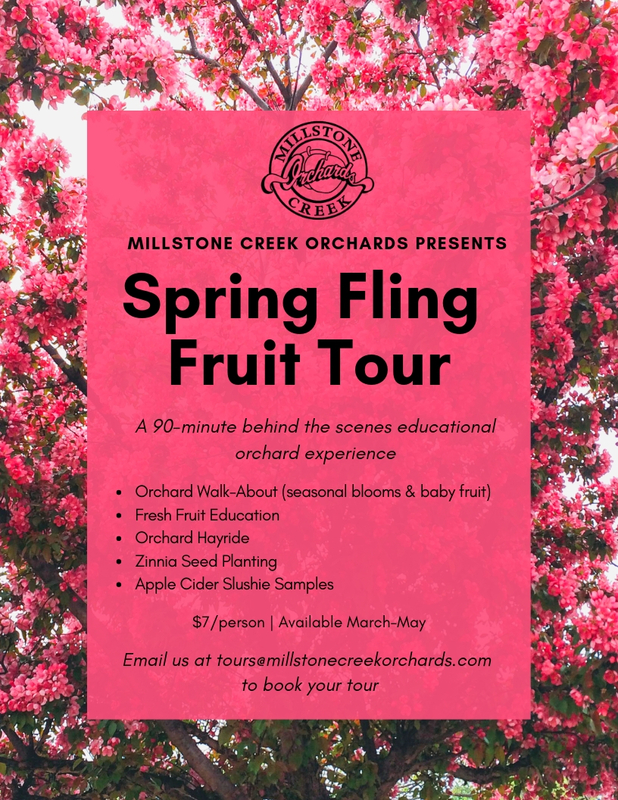 Just give us a call at 336-824-5263 (during the season) or email us at tours@millstonecreekorchards.com. Tours are available both in the morning and afternoon. We recommend booking early especially for Fall tours.